Some things are popular for a reason. The Casper was one of the original “bed in a box” companies and the Ghostbed brought to you by Nature’s Sleep is well known too. Most importantly, these all foam mattresses will make sleep more popular for you. So, if you’re in need of a new sleeping experience, start shopping. Both mattresses offer a universal comfort and are meant to appeal to a range of sleepers. Continue reading and compare the pros and cons in our Casper vs Ghostbed review. The benefits of each slightly differ, making each appealing in their own way. The Casper might be well-known, but it is far from average. The 10” thick all foam mattress comes with 4 layers of comfort for the perfect medium- firm feel. This means the Casper mattress will be just what you need for any sleeping position and any size sleeper. You’ll get a top layer that is more responsive and mimics latex, plus a more conforming memory foam layer than you’ll see in any other mattress. This combo makes the Casper easy to move on, while still being pressure relieving. The Casper is also highly durable and supportive, wrapped for you like a present in a crisp, clean cover. 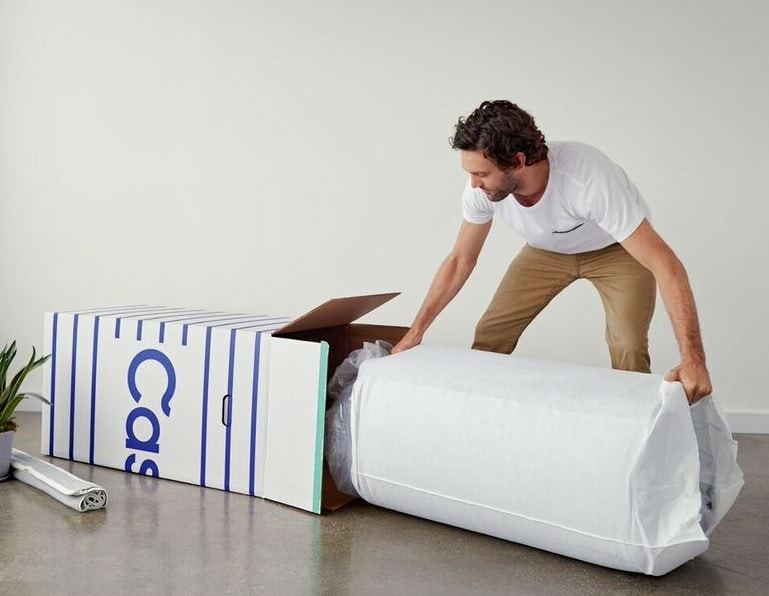 As one of the first Online mattress companies, Casper knows customer service. So, returns are free and easy, shipping is free and fast, and you get a 100-night sleep trial, plus 10- year warranty. 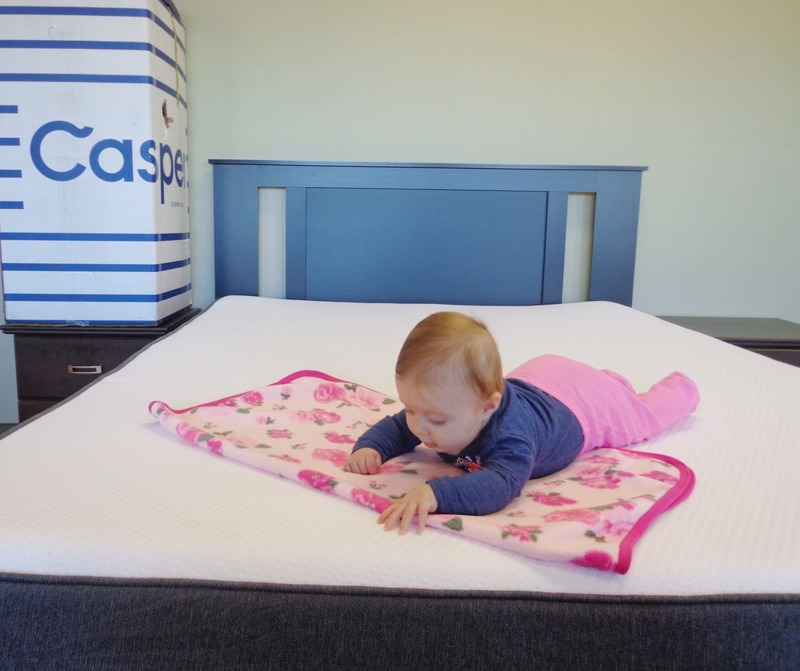 Jump to the FULL review of the Casper Mattress HERE! Or learn more at Casper.com. The Ghostbed is the foam and latex mattress you’ve been dreaming of. In fact, even those with a latex allergy can enjoy this 11” thick mattress of pure comfort. The latex in the Ghostbed is one of its best qualities because it gives the mattress extra coolness, plus the perfect amount of response. Combine this with the other layers of the mattress and you get ideal support from a mattress that won’t leave you sweating all night long. Another highlighting feature is that the Ghostbed supports an industry-leading weight of 750 lbs., so if you are a heavier person, this might be the mattress for you. The Ghostbed is eco-friendly, offers free shipping, and a 20- year warranty. What else could you possibly need? Jump to the FULL review of the Ghostbed Mattress HERE! Or learn more at Ghostbed.com. 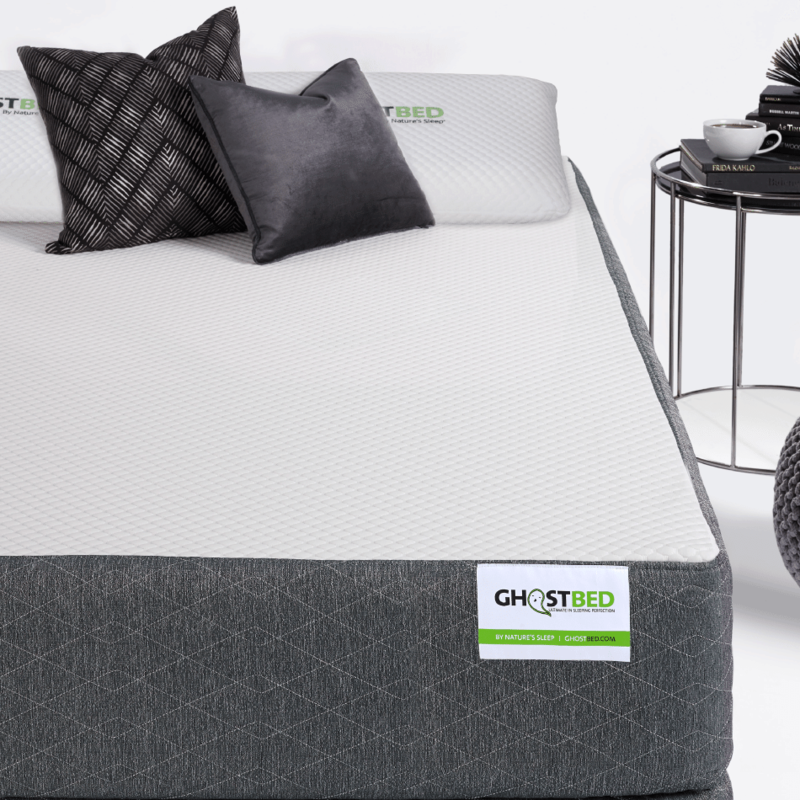 Ghostbed Coupon: Latest Savings & Best Pricing HERE! The Casper and Ghostbed have similar delivery and processes. Most mattress companies ship via FedEx or UPS, but the Ghostbed specifically uses FedEx. Your Ghostbed will ship out 24 hours after placing your order, and should arrive directly to your door within 3-5 business days. 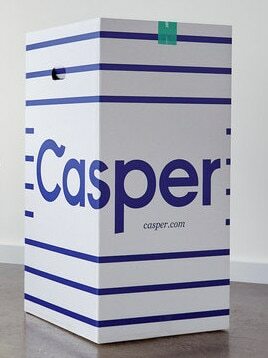 The Casper will also arrive directly to your door in only a small period of time after ordering. The Casper and Ghostbed are approximately 75 lbs. and 78 lbs. respectively, so with both mattresses it is wise to have a extra set of hands available to help you maneuver them. Once you get your mattress to its desired location, y remove from the box, cut away the plastic, and watch your mattress come to life. It is important to note that the Ghostbed is vacuum sealed more tightly than normal, which may make for a harder unboxing experiencing, especially during colder weather. Once it has expanded, our mattress will be ready for use, keeping in mind to all 1-2 days for full expansion, a week or so for full firmness, and 30 days together yourself a true feel of the mattress. Both the Casper and Ghostbed will have the typical “new mattress” smell, which ca be remedied by patience and an open window. We recommend waiting to put your bedding on and allowing 12-24 hours to fully air out. Fortunately, neither the Casper of Ghostbed will have any noxious fumes or harmful odors. You can’t go wrong with 10” and 4 layers of pure comfort. The top layer is the 1.5” breathable comfort layer. This layer is resilient, but has a good bounce to be able to return back to its original shape. The key to this layer is that it is soft without sinking in, and has great breathability to reduce heating. This top layer is in fact new to the Casper mattress and has replaced the original Dunlop layer, therefore decreasing the price. The next layer is 1.5” of 4 lb. memory foam. This is just the kind of density you want in a memory foam, that contours to the sleeper’s body, while reliving pressure points to reduce tossing and turning. Beneath that is a layer of 1.5” 2.5 lb. transitional poly foam. This is just the layer you need for comfort that is deeper than the surface, and distributes your weight evenly. This foam does exactly what it supposed to do, and provides a great transition from the comfort layers to the base foam. The base foam is 5” of 1.8 lb. density poly foam. This layer is solid and durable, which means your mattress should never bottom out. It also provides the stability needed for all the other layers to do their job. You’ll also get another ½” of comfort from the Casper’s premium, woven polyester cover. The cover is tight to the mattress, soft to the touch, it still durable. The gray and white color is simple and aesthetically pleasing, so that you’ll love your new mattress top to bottom. Shop the Casper and save $50 with code SLEEPGUIDE50 at Casper.com. 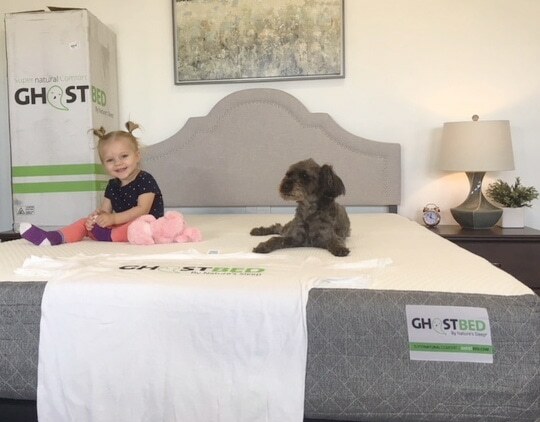 The Ghostbed has 3 unique layers and a cover, totaling 11”, and the best part is all 11” are eco-friendly and greener than any other mattress. From top to bottom, the Ghostbed cover is luxurious and plush. This cover is actually meant for extra comfort as well as being a breathable, stylish addition. The first layer under the cover is 1.5” of Continuous Aerated Latex Foam. This layer is both responsive and plush, while still giving you the benefit of latex by not retaining heat. The second layer is 2” of memory foam. The formula in this layer was developed by Ghostbed themselves to create a foam itch bigger cells, therefore making it more reactive to your body and cooler to the touch. The final layer is the base layer, which gives the mattress all of its support. This 7 ½” layer is made of High Density Base foam and is meant to give the mattress durability for the long haul. Overall the Ghostbed is designed to wick away more moisture, and the gel beads give it more pressure relieving qualities. Lastly, you want a mattress that doesn’t use harmful chemicals, so you want the eco-friendly Ghostbed. Looking for a balanced feel at an affordable price? Get your new Ghostbed at Ghostbed.com. The Casper is the only “one size fits all” mattress that you’ll want to sleep on. It has a universal medium to medium-firm feel, approximately a 6 to 6.5 on the firmness scale; 10 being the firmest, and 1 being the softest. The Casper is as universal as it claims. The mattress has great lumbar support for back sleepers, plus ideal contour for the shoulders and neck. If you are predominately a stomach sleeper, rest assured the Casper is firm enough, not to create any bowing of your back. Finally, for side sleepers, the Casper would suffice, but could be too firm for a person who likes their shoulders and hips to sink in a little. For heavier stomach sleepers, this mattress might not be firm enough, so you may prefer to sleep on your side or back. If you’re new to buying a mattress online, the Casper is a safe and highly comfortable choice. The Ghotbed gives you one comfort option that is best for all. Like the Casper, it also has a medium-firm feel, which appeals to a wide variety of sleepers. The Ghostbed would be a definite 6.5 on a 1 to 10 firmness scale. This gives it more appeal to more sleepers, including back sleepers, the Ghostbed provides more support while sleeping. Similarly, if you are a stomach sleeper, the Ghostbed is supportive enough so that your back doesn’t bow. Lastly, if you are a side sleeper, the Ghostbed does have enough sink while keeping you supported. Since the queen size Ghostbed carries an industry-leading 750 lbs., it is also perfect for heavier persons. So we can say with confidence that the Ghostbed is meant for all shapes and sizes, the still-sleepers and the tosses and turners. The latex keeps your Ghostbed cools and the responsiveness gives you enough bounce to move freely from one position to the next. You’ll also notice great pressure relief from the gel beads in the cooling gel layer. Aligning your spine and giving you deep comfort, there’s really nothing the Ghostbed can’t do for you and your sleep. The last thing you want from a mattress is to feel every time your partner (or your pet, or your child) moves. That’s why the Casper and Ghostbed have motion transfer covered. By nature of the materials, the all foam mattresses have less motion transfer, because foams do not transfer motion. Per a real life review, the Casper was observed to have minimal motion transfer, allowing partners to sleep peacefully. This makes the mattress ideal for partners with different sleep schedules, or those that change positions often. On the other hand, the Ghostbed does use more latex, which can give it a more buoyant feel on top, but the layers of foam beneath should immediately absorb any movement. The Ghostbed will also be perfect for couples with different sleeping schedules, limiting partner disturbance while also decreasing the amount of tossing and turning overall. While sleeping cool is not exactly in favor of all foam mattresses, the Casper and Ghostbed have several features to keep you cooler throughout the night. On the very top, the woven, stretch-knit cover on the Casper is more breathable and helps dissipate heat away from the body, this is helpful since it is the first layer your body touches. 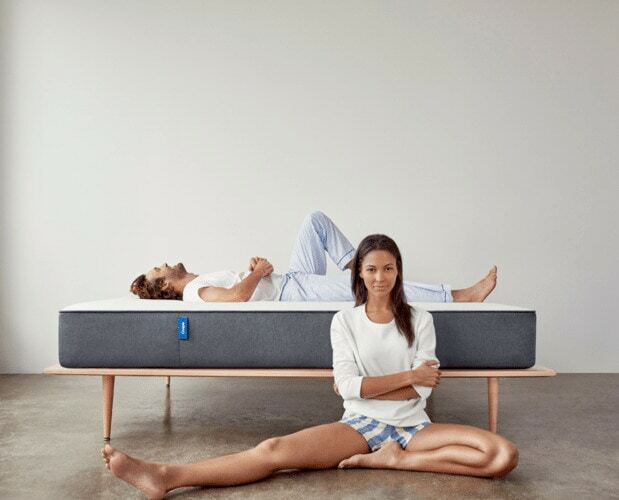 In addition, since the Casper is slightly firmer, it keeps you sleeping on top of the mattress, keeping you cooler, and increasing circulation. Finally, the Casper also has an open- top cell layer which helps pull bear away from the body and acts as a barrier from the memory foam. Similarly, the Ghostbed is not the mattress you have to worry about when it comes to sleeping cool. Latex is naturally more heat resistant, plus the Ghostbed uses the most innovative technology to keep you cool. For example, the cooling gel beads are just that, cooling. This layer also has larger air pockets that lets air flow more naturally through them. Another feature is the Ghostbed cover that wicks away moisture all night long. Finally, like the Casper, the firmer Ghostbed keeps you from sinking in and therefore creates less spaces for heat. Edge support is easily forgotten when it comes to buying a mattress online, but trust us, you don’t want a mattress without it. Typically all foam mattresses pale in comparison to any innerspring mattress when it comes to edge support. As both foam mattresses, the Casper and Ghostbed provide typical edge support for sleeping. This means you can utilize the entire surface of your mattress for sleeping, and lay even in the very edge without feeling like you’re falling out of bed. When it comes to sitting however, whether to watch TV or get ready for work, you’ll find that the Casper and Ghostbed are not very supportive. Foam mattresses are not ideal for sitting on the edge for any prolonged period of time, otherwise it can lead to increased wear and tear of your mattress. The Casper is available to you for $950 for a queen size. This includes a 100-night sleep trial, 10-year warranty and free shipping. If you purchase now however, you can also use this exclusive $50 off coupon. The Ghostbed is available for $895 fo a queen size, with a 101-night sleep trial, 20-year warranty. This is before any promotions or special coupons, so it is clear, you’re getting the most value with the Ghostbed, paired with the higher quality as well. As mentioned above, the Casper comes in with a 100-night sleep trial and 10-year warranty, while the Ghostbed gives you 101-night’s and 20-years. 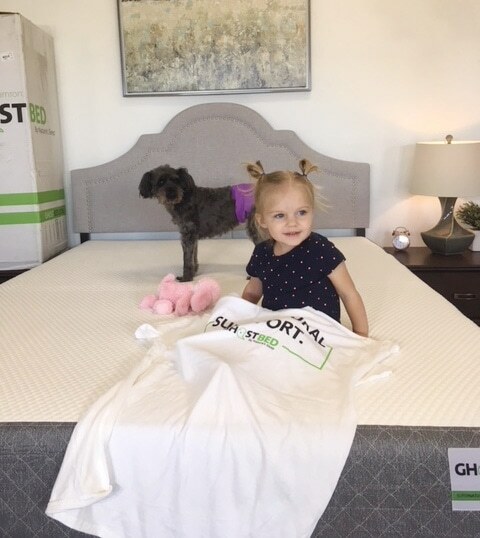 Although both offer free shipping, returns, and excellent customer service, you just can’t beat the numbers with the Ghostbed. When it comes down to it, the Casper and Ghostbed are highly similar mattresses. You won’t be disappointed with either, universal-fit mattress, both keeping you cool and limiting motion transfer. 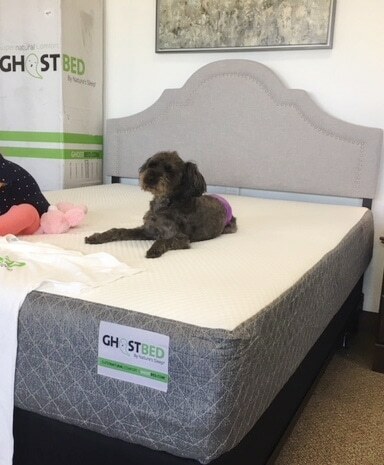 However, if you are looking for higher quality materials for a lower price, and a company that stands behind their mattress, the Ghostbed is the one for you. Not to mention, the Ghostbed uses a unique memory foam formula, and has an industry-leading weight capacity, increasing its appeal to an even wider variety of sleepers. We love the Casper and the Ghostbed, but there’s one you’re sure to love even more. Sill unsure? Check out the FULL review of the Casper HERE and the Ghostbed HERE! For more comparisons reviews beyond the Casper vs Ghostbed mattresses make sure you check out our Mattress Comparison Page. This will give you access to all our comparison reviews. Including some of our most popular including the Puffy vs Purple, Casper vs Tuft & Needle, Casper vs Purple and Puffy vs Puffy Lux.